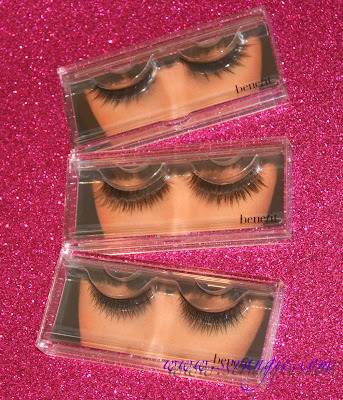 Benefit has just released their own line of false lashes- they call them Lash Lovelies, and frankly, I'm a little surprised they didn't have these before! False lashes seem like they really go with the whole Benefit 'glamour girl' aesthetic, don't they? The Benefit Lash Lovelies line comes in eight styles: Starlet, Debutante, Rockette, Big Spender, Going Solo, Little Flirt, Pin-Up and Prima Donna. I have three of them to review, so take a look! The Big Spender lash, the Pin-Up lash and the Prima Donna lash. These do not come with their own lash glue, so I used my trusty Duo Dark lash adhesive. Benefit does sell their own lash glue, but I have not personally tried it, so I can't vouch for its effectiveness or ease of use. But, really, you can't go wrong with the Duo. 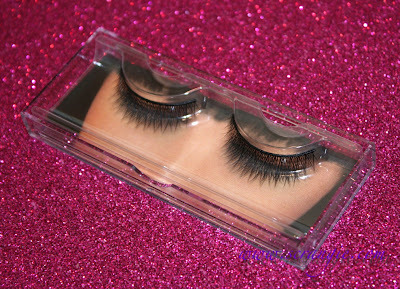 The Big Spender style is a really natural, lush looking lash. 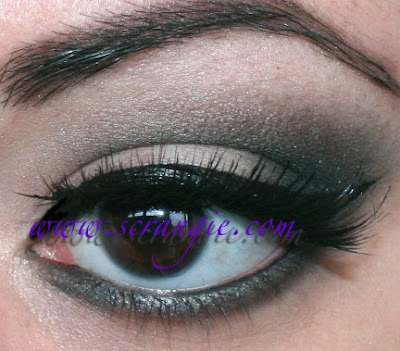 The lashes look full, silky and shiny and they gently flare out toward the outer corner. This is not a long lash and the shape and style is very natural and life-like, imitating natural lashes as more of an enhancer than a mega drama lash. This one didn't give me any trouble in application, but the style didn't work at all for me. It actually makes it look like I have no lashes! All of you have seen my giant eyeball on here enough to know that my natural lashes are actually quite full, but with these on they look pretty sad. The Big Spender lash tends to stick straight out and a little down on me and they won't take a curl at all. The Pin-Up style is your big, dramatic full lash style. It's actually more subtle looking than I thought it would be. The lashes are full and long, but still have a very natural look to them because the shorter lashes hide behind your natural lashes and the longer ones stick up only a bit to add a big wide-eyed soft look. The Pin-Up lash did give me problems with application. The band is wide and stiff and it just wouldn't conform to my eye shape. I couldn't get that inner corner to stay down for anything! 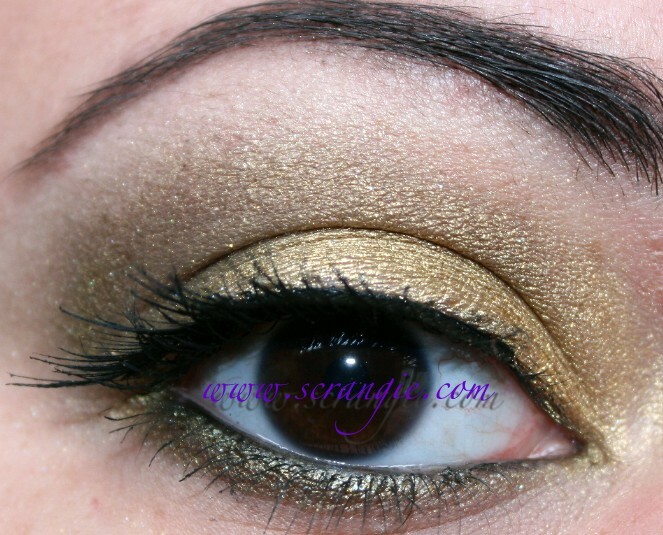 Aside from that uncooperative inner corner, I thought these looked pretty good. They're very shiny. I might just trim off the inner third and use these as an accent strip in the future. The Prima Donna lash is long, a little wispy and pointy, and seems more dramatic in the package than it actually looks on the eye. It has a fun cris-cross pattern to the lashes that doesn't show up on the eye, but it does help give these long lashes a little bit of density. This one is my favorite of the three I tried. It gave me no application trouble at all due to the thin, flexible band. The inner corner even stayed down! These lashes didn't add any volume on their own, but they add a lot of length. Next time I wear these, I'll put them on after my mascara is already applied, that way they'll just beef up my own lashes instead of looking so sparse. Prima Donna style is easy to apply and very wearable. Lashes are reusable as long as you wash them when you're done. Pin-Up style was hard to apply because of the thickness and stiffness of the band. Big Spender style didn't work for me. These don't come with any adhesive. The lashes feel heavy and stiff, not soft like they look. They won't take a curl. If you're looking for big, crazy, costume-type drama lashes, these probably aren't what you want. 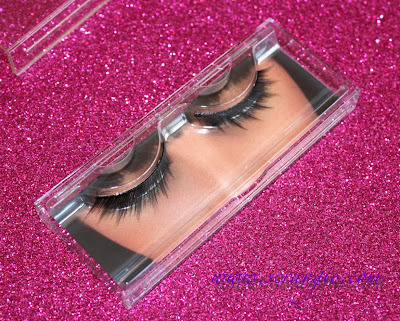 But, if you are looking for subtle, every day type lashes, these might be more your style. These are available on Benefit's website, $15 a pair. 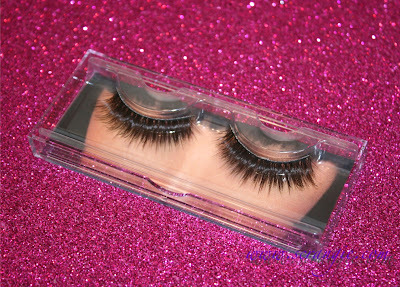 There are eight styles to choose from, including individual lashes and half-strip accent lashes. The last pair of lashes looks the best on you. 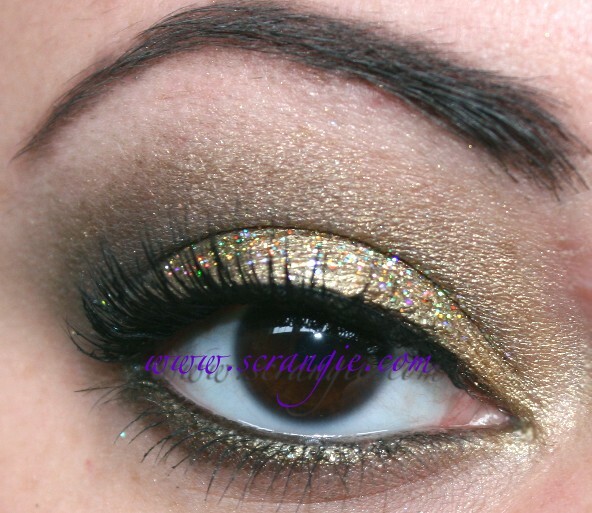 :) And, wow, I love the glittery bits you captured in that 2nd photo from the bottom. I wear glasses, so I've never experimented with false lashes. They look like a lot of fun, haha, but if I wore them, they'd be sweeping my lenses with each blink. aw, beauuuutiful, Scrangie! Absolutely beautiful! You're right, the last pair looks best ... but I also like the other two. Your photos look amazing! 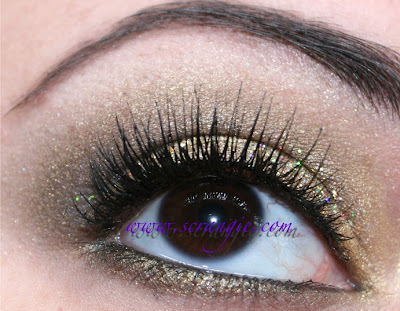 prima donna lashes look really good on you. Return of the GIANT EYEBALL. Yay! I've got a pair of fake lashes around here somewhere - Manic Panic's, I think? - and hardly ever wear them. I cannot *imagine* doing these for "every day" -- maybe if your own lashes are really sparse or short and you don't want to resort to that terrifying iris-brownifying, skin-discoloring Serum Of Lunacy? Lucky I've got decent lashes to start with - and even if these fakies aren't all that great, I have to say Benefit's "They're Real" is the single best mascara I've ever used, ever. So there's that. 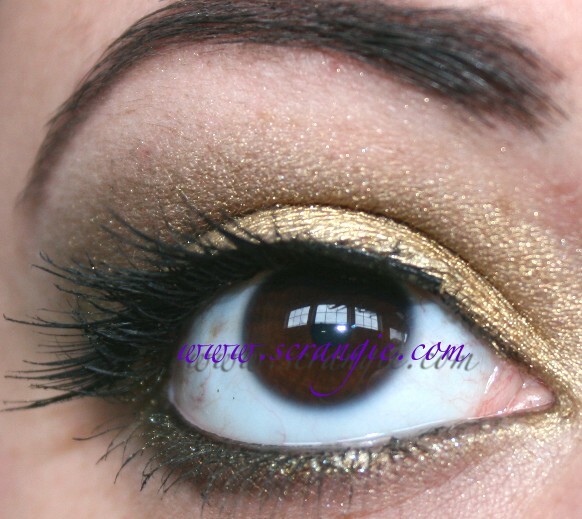 what eyeshadow did you use for the third look?? 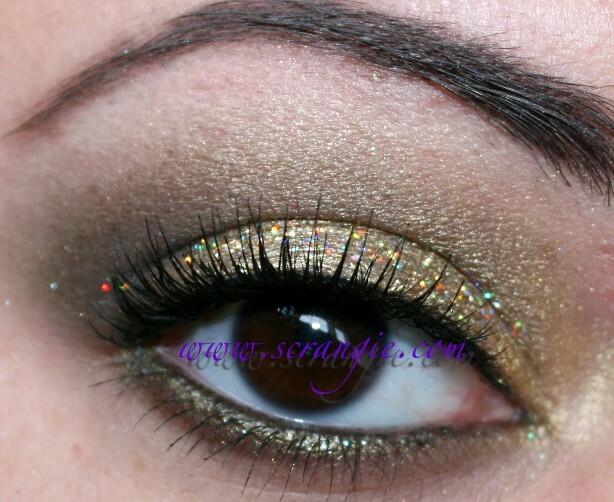 What is that awesome glitter in the last pics on your lid?! Ghoulina, well, the Big Spender DEFINITELY sticks out at weird angles. I was really surprised by how odd that one was on me. Pin-Up and Big Spender were uncomfortable and Prima Donna is better, but rather subtle. So I'd have to say that your observations are quite accurate!